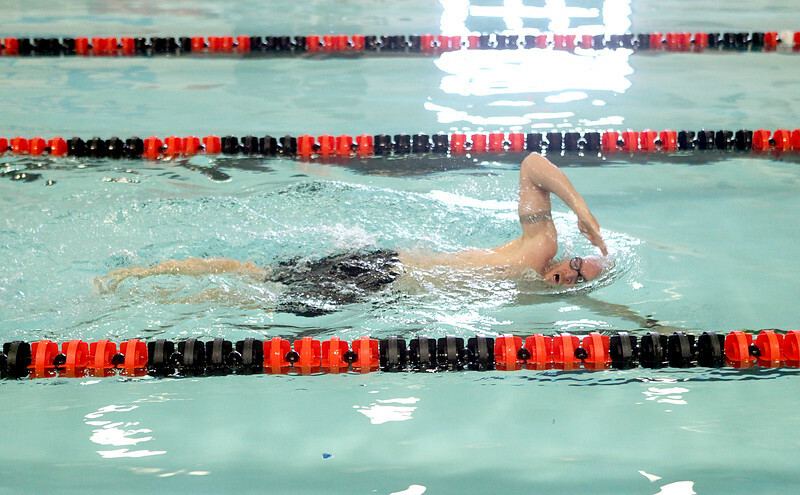 Ryan Flanagan of St. Charles swims in the pool at the Norris Recreational Center in St. Charles. Almost five years removed from suffering a stroke, Flanagan, 40, is training for his first Ironman triathlon. Flanagan has competed in various races through the years to raise awareness for strokes and stroke prevention.